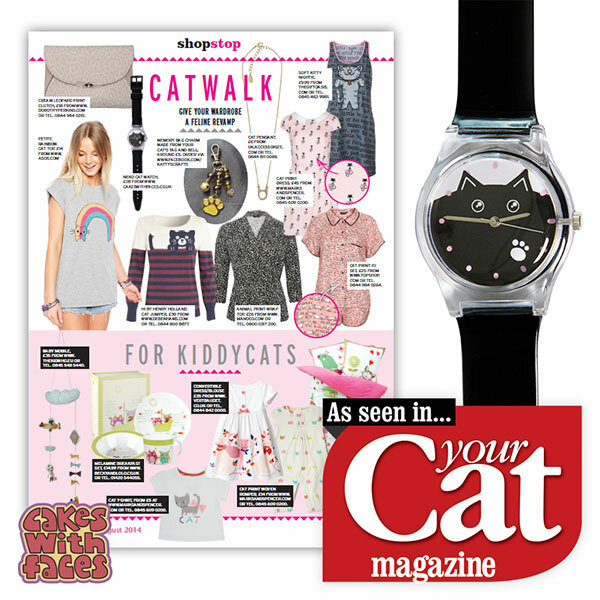 Thank you to Your Cat magazine for featuring our Neko Cat watch (now sold out) on their Catwalk shopping page, in their August 2014 issue. 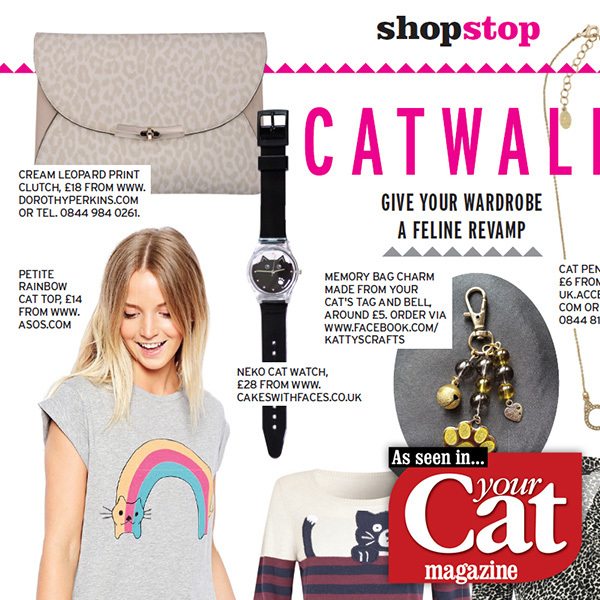 Your Cat is a nationwide UK magazine for cat owners and fans, featuring cat stories, tips and advice, photography and information. It’s available from larger supermarkets, WHSmith and Pets at Home, or you can subscribe to print and digital versions on their website.